Whilst the skies have been mostly grey and the wider landscapes rain swept and dull, when visible at all, this summer has seen a wealth of flowers in the woods and meadows. Look closely at the brown fields and stony banks and amongst the sodden trees and brightness transform the scene. White eyebright is everywhere, yellow tormentil, red clover and tiny blue forget-me-not hide amongst the grasses, purple vetch climbs the reeds. Also purple is Scotland’s flower, the thistle, many species of which rise above the long grass. The pale blue Scottish bluebell is prolific too, lining verges and woodland edges. In wetter areas creamy Meadowsweet and pink Ragged Robin give colour to the sedges and rushes. Perhaps my favourite of these flowers is the foxglove, whose pink spires stand out against the sombre tones of the conifer forest. But all the flowers are lovely and their presence gives colour and light to nature even in a dismal summer like this. There is always something to see. Now at the end of August the flowers are beginning to fade, soon to be replaced by the yellows and reds of dying leaves. The picture shows a foxglove growing beside the roots of a fallen tree. After the days in Edinburgh I felt a need for the quiet and solitude of the hills. The forecast suggested the best weather would be in the east so I decided on a trip to the Eastern Cairngorms – Ben Avon and Beinn a’Bhuird. This proved fortuitous as just hours before I set off I had a request to lead a walk up Ben Avon for the Tomintoul and Glenlivet Walking Festival in September (of which more in another post). Not having been on this hill for several years checking out the route would have been a good idea anyway. As it was I amended my plans to take in the route as suggested by the festival organisers. Approaching Ben Avon from Tomintoul involves a 12km road walk along a private road up Glen Avon. A bicycle would be ideal for this section but my mountain bike having been neglected for the last few years I decided it wasn’t up to such a trip without a service so I opted to walk in. The evening light was soft with thin cloud cover through which the sun shone intermittently. The hills were purple with heather and the river shone as it twisted and turned through the glen. There was no traffic and the walk was relaxing and pleasant despite the road. Eventually I came to the foot of Ben Avon and found a good camp site on its lowest flanks just above Glen Builg. A breeze had been blowing all evening but as I pitched the tent it dropped and the midges instantly appeared, forcing me to do the classic madman dance until I’d plastered myself with repellent. Once camp was established the breeze dropped and I was able to keep the tent doors open while I cooked and the sky darkened to blackness as the clouds thickened. There was hardly any sound; just the gentle swish of the wind in the grass. Under a dark sky rippling with spreading clouds I left camp and climbed the very long north-east ridge of Ben Avon. The light was flat and dull, the air chill with hints of rain. The sky stayed overcast but the clouds remained above the tops and there were expansive if hazy views. Ben Avon is a strange hill, dotted with weirdly shaped granite tors. In this light it seemed grim and austere; a mountain of stone and coldness. Attractive, yes. Beautiful, no. From the summit I descended northwards over Stob Ban an Fhurain, past the impressive tors of Clach Bun Rudhtair and down into Glen Avon. Back in camp the breeze dropped so the midges could make another attempt on my blood as I packed up the tent. The camp in Glen Builg. The River Avon just above Inchrory. One of the joys of Edinburgh is that there are hills inside the city that you can escape to when the hard stone and incessant traffic of the urban environment become overwhelming. Arthur's Seat is the big one, a volcanic remnant with the feel of a real mountain. But when there's only an hour or two to spare Calton Hill with its curious collection of edifices is a wonderful place with soothing trees and grass and widespread and wonderful views. These photos were taken on Calton Hill late one afternoon during my recent trip to the city. Whilst in Edinburgh I briefly escaped the traffic fumes and noise for a walk up Calton Hill. Strolling round the popular paths on the hill I was surprised to find someone camping. There is a right to camp wild in Scotland but I hadn't expected to find someone taking that right in the heart of the capital. Others passing by were amused by the tent, especially as the camper was inside, presumably asleep, with just his hand hanging out of the door. Emerging from Waverley Station into the urban roar of Edinburgh is always somewhat disorientating after the quiet of the hills. The noise, smell, traffic speed, crowds and buildings all amount to an overwhelming sensory onslaught. This is even more so during the festival season, when the throngs multiply and there are buskers, entertainers and stalls crying for attention, not to mention the hordes of leafleters thrusting flyers for a myriad shows at you. But it was for the Festival Fringe that I had come to Edinburgh, for a few days dose of theatre and entertainment. And the carnival atmosphere is exciting and there is a feeling of creativity and imagination that ripples everywhere. Choosing a tiny sliver of shows from the many hundreds available is a difficult task. Luckily my partner Denise likes going through the Fringe catalogue to see what catches her eye – and I am happy to go along with her choices. There are some companies whose productions we’ve seen before to look out for but overall it’s good to see new people. This year we saw several excellent shows and one real stand-out. The latter was The Girl With The Iron Claws by The Wrong Crowd, a powerful and atmospheric version of an old Nordic myth that involved puppetry, music and the clever and effective use of some simple props. This is an enthralling production that hung in my mind long after it was over. There’s an outdoor angle too – the iron claws are needed so the heroine can climb the Glass Mountain. Also good, though not quite as compelling, was River People’s Little Matter, another show involving puppets and music. With elements of quantum theory and mythology included this play told the story of one man’s struggle to overcome his apparently miserable and dull life. The setting was interesting in itself – a wagon theatre set up in a cobbled courtyard. The tent-like covering for this little travelling theatre can be seen in the photo above. It was held in place with an interesting structure of poles and ropes. During the show there was a storm with rain and wind rattling the canvas, which added to the overall atmosphere of the play. Shakespeare always seems to be a dominant presence at the Fringe and we saw four shows derived from his plays. Macbeth made up two of these, a fairly straight production by Flatpacktheatre that reminded me of how powerful the language of this great play is and Shakespeare for Breakfast, an entertaining version of the same play as a high school musical (and with free coffee and croissants). Also less serious was Shakespeare Bingo, a fun look at Titus Andronicus with bingo cards and some very good acting. Different again was Backhand Theatre’s acrobatic The Tempest with performers on ropes really creating the feeling of a magical world. Perhaps the strangest show we saw was Belt Up’s Outland, an intense play about Lewis Carroll and the effect of his fantasy world on his health – or was it the other way round? Performed in a small room with most of the audience sitting on the floor round the walls it had a claustrophobic and slightly disturbing air, jumping abruptly from manic action and humour to quiet seriousness and sadness. There was an excellent rendition of The Hunting of the Snark but rather too much of Sylvie and Bruno, a work I hadn’t read and doubt many others have either. Away from plays I was pleased to have a ticket for a recording of a favourite radio show, Just A Minute, courtesy of James Baster, whose Festafriend looks a good way to meet up with others if you’re in Edinburgh alone or would just like a companion for shows your friends don’t want to see. Just A Minute was excellent, as expected, and I was delighted that Paul Merton was on the show, as his sharp wit is always one of the highlights when he appears. It was good to share some of the humour that doesn’t make the radio version too! The lunchtime before we left gave a dose of scientific humour from Robin Ince and others at a free event (part of the PBH Free Fringe) called Carl Sagan Is My God, Oh and Richard Feynman Too. This was a good mixture of comedy and science and very entertaining. There were even experiments! Active Shell is claimed to be the most breathable Gore-tex fabric yet. It's also very lightweight. 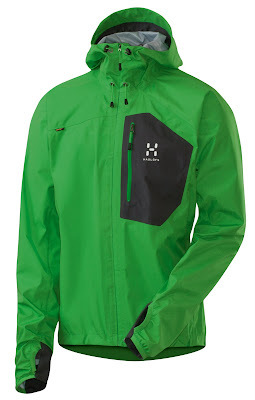 I've been trying Haglof's Active Shell Endo Jacket - and there's been plenty of rain for testing this summer! 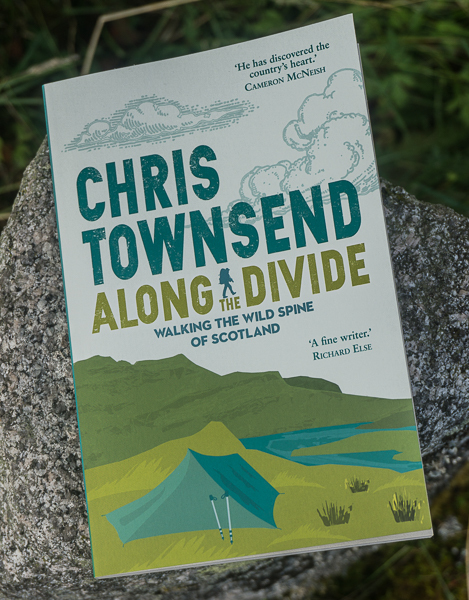 My review has now been published on the TGO website here. Yesterday I was saddened to hear of the death of mountaineer and conservationist Alan Blackshaw. 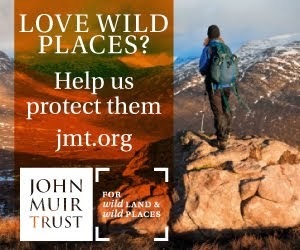 I was privileged to know Alan, first meeting him when he chaired the Cairngorms Partnership Recreation Forum on which I sat as the representative of the Mountaineering Council of Scotland over a decade ago. Since then I have met Alan at various meetings and corresponded with him on access and conservation matters, growing to admire his fierce intellect and determination. He was deeply involved in mountaineering organisations and served on many committees, contributing http://www.blogger.com/img/blank.gifghttp://www.blogger.com/img/blank.gifreatly to the position of mountaineering in Britain today. In particular he was an expert on access and played a major part in the debates that led to Scotland’s fine access legislation. Details of his career and other information can be found in the obituaries already published by Cameron McNeish and To Hatch A Crow. There will be many more. “Mountaineering may come to mean something more than a sport; you may find in it a philosophy of living. 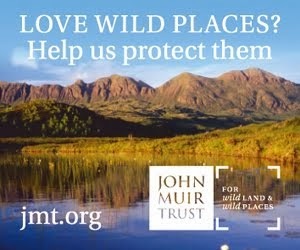 If you do, and I hope you may, then you and the mountains will be inseparable through life”. Compared with the Western Highlands and islands like Skye the Cairngorms have a reputation for less fearsome midges. Now I’ve always felt this was exaggerated. Yesterday I found it to be completely untrue as I was engulfed in clouds of ravenous beasties within seconds of stopping to take water from a burn. I’d set out earlier for an ascent of Bynack More, the easternmost of the 1,000 metre summits of the Northern Cairngorms. I left late as the forecast suggested the low damp mist of morning would clear to give a fine afternoon and evening. And so it proved. The long walk-in from Glenmore round the eastern edge of the hills was in some of the hottest weather of the summer so far with a blazing sun and a sharp blue sky. Yet to the north and east it was hazy and towering clouds suggestive of thunder heads drifted by. Sweating heavily in the still air I climbed the final rocky north ridge to the jumble of boulders at the summit. A westerly breeze cooled me down as it dried the sweat on my t-shirt. South and west the mountains shone in the sun. Turning the other direction and the sky was grey and the hills indistinct. A giant cauliflower cloud was building just east of the top. This not being the place to be caught in a thunderstorm I didn’t linger but was soon cutting across the stony slopes to the lower top of Bynack Beg, whose north-east ridge I took down into Strath Nethy, a rough descent on sketchy gravel paths and through deep heather. I was under cloud cover now and the air was hot, humid and heavy. It was during this descent that, having emptied my water bottles, I stopped for a refill and the midges found me. Using my sun hat as a whisk to repel the hordes I was very quickly on my way. Down in the glen I forded the shallow River Nethy and crossed the ridge above before descending into the lovely natural forest above the Ryvoan Pass path. This is an interesting and unfrequented route, with only traces of paths and much rough terrain that slows progress. On this occasion I rarely stopped to look around, let along take photographs, as the second I did the midges poured over me. Indeed, on the ascent out of Strath Nethy I could barely move fast enough to stay head of them. It was with relief that I reached my car and was just left with the problem of how to get in it without bringing in too many midges. Pictures: from the top - the summit of Bynack More; clouds building up over the shoulder of Meall a'Bhuachaille above Ryvoan Pass; Bynack More and Bynack Beg; Strath Nethy with Bynack More top left. For those down south in England there's an interesting sounding weekend in the Peak District on 14-16 October organised by Alpkit and Thornbridge Outdoors. There are activities and courses - including caving, climbing, conservation, bushcraft, photography and first aid - plus music, films and lectures. Last year's event had good reviews and it looks a great opportunity to try out different activities and meet others with similar interests. More info on the Alpkit website.